The annual athletics carnival is on again!! 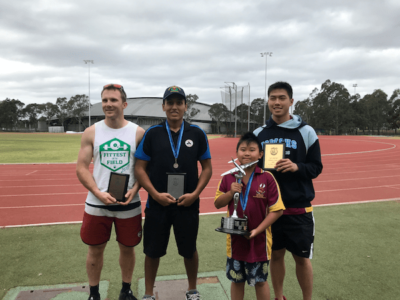 With all reviews for the year over, this is a great opportunity to attend the athletics carnival, without the pressure of having to prepare for other air league events. If your squadron has not attended the athletics carnival in recent years, you are more than welcome to attend – we look forward to seeing you, your members and parents there! This is a fun carnival – a great opportunity to have some fun and socialize with other members of the Group. The Regional Aviation Association of Australia and Bankstown Airport Limited would like to invite applications for the Women in Aviation Assistance Scholarship. Funded by Bankstown Airport Limited in partnership with BASAIR Aviation College with a value of over $3000, this scholarship will allow five (5) young women to each undergo two (2) introductory flights with BASAIR. This will then be accompanied by two days on site with the Airport Management Team, learning about the compliance, operations, aviation safety and contractor management at the Airport. These awards will be aimed at young women currently residing near or within the Sydney Basin area and the applicants will ideally be studying Year 11 or 12 at a school or TAFE. For further information please go here. Victoria Group Routine Order 03/18 is available for download here. Doncaster Squadron in Victoria was recently visited by Mr Charles “Hank” Fargher, a former RAN pilot to discuss his military career. When WWII began, Hank was an apprentice fitter and turner, this trade meant he was exempt from military service. However he decided to join the RAAF in 1943 and expected to work as a fitter and turner there. After basic training, he was told that they required Air Crew more desperately, so he began his training as an Observer. He spent his war time service in Cornwall in the UK. At wars end, he came back to Melbourne and was demobbed from the RAAF as a Flight Sergeant (Observer). Having heard that the RAN was soon to acquire an Aircraft Carrier, he walked across the road to the RAN recruitment office, still in his RAAF uniform. Hank did his basic training followed an Officer’s course and was attached to 816 Squadron (RAN). Hank served on HMAS Vengeance (on lease from the Royal Navy) until HMAS Melbourne was commissioned. On the Melbourne, Hank crewed Fairey Fireflys and Fairey Gannets, both Anti-Submarine aircraft. Hank also served on HMAS Sydney, the sister ship to the Melbourne. He spent 12 years in the Royal Australian Navy Fleet Air Arm, reaching the rank of Liuetenant and a further six years in the Royal Australian Navy Reserves. The cadets found his talk very enlightening and we thank Hank for telling the cadets his story. Every year the Regional Aviation Association of Australia offers scholarships to upcoming pilots and engineers in our membership group. This year they have opened up these scholarships to the whole aviation industry. Please find attached application forms for the scholarships that are on offer for 2018. These applications are open until 31 August 2018. Scholarships range up to $7,500 and applications are now open for student Pilots, Engineering apprentices and also young women looking to enter the industry (Sydney only). These scholarships will be presented at the RAAA 2018 National Convention Gala Dinner in October.